Posted in: Authors, books, Fantasy, Gamebook, horror, RPG, Uncategorized. 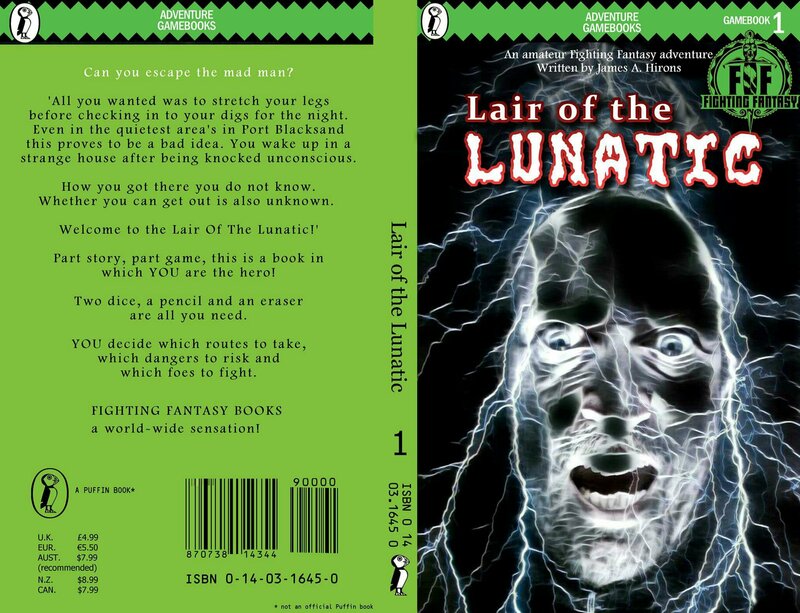 Tagged: Fighting Fantasy, Ian Livingstone, James A Hirons, Lair Of The Lunatic, Steve Jackson. 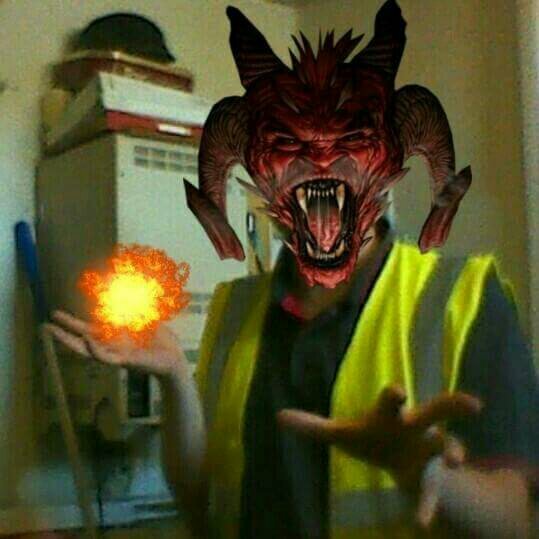 Posted in: Authors, books, Gamebook, RPG. Tagged: Fighting Fantasy, Ian Livingstone, Port Of Peril, Scholastic. Port Of Peril was always going to to be met with critique, with it being a brand new story in a brand new series relaunch. Many people including myself have already given their opinions but this post is to purely point out the bits I really enjoyed. My first favourite bit was the delve into ‘the cellar’. Half expecting there to be something large and ravenous down there I never expected to find a zombie mooching around. 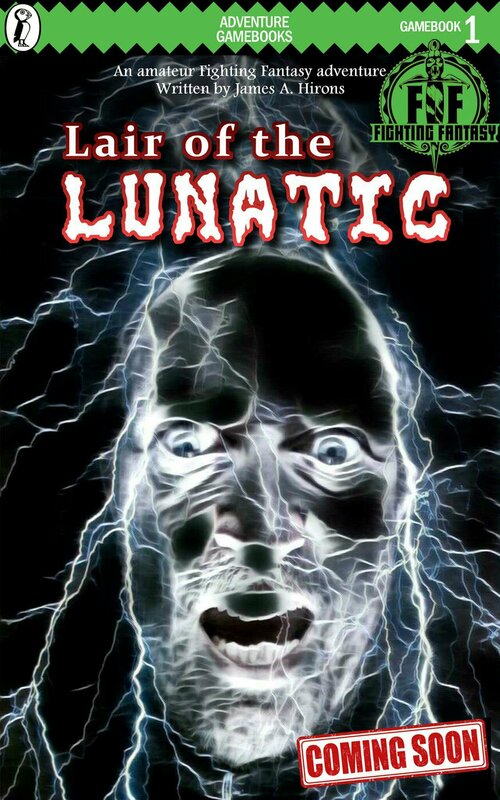 Although these are never much of a threat on their own to a tough treasure seeking adventurer, Ian Livingstone incorporates a bit of character history behind the shambling wretch with a letter written by the unfortunate before they turned. It wasn’t just there for sword fodder there was a reason and a rewarding one at that. Given that this takes place in a single entrance/exit room, a greater threat comes along in another simple but cruel form. Another piece I really enjoyed was exploring the Skullcrag. The bit in particular was the encounter with the Lavaworm. I had recently watched Tremors 5 with my niece and nephew from which I could vividly set the scene. Luckily I had a possession which could deal with this slimey brute and avoided hand to hand combat. The result was a pleasing descriptive demise for the creature and an even more pleasing discovery within the creatures innards. Given that this was written for a younger audience, I still didn’t manage to complete it first go, I got captured once and didn’t have an essential item to complete the quest second time round. Though it isnt Deathtrap Dungeon or Crypt Of The Sorcerer, its above average and shows the series still has it’s flair for any gamebook fans. Posted in: Uncategorized. Tagged: Fighting Fantasy, Glen Scotia, Whisky. My final four weeks in England before I depart for pastures new with Victoria and Cassia. So excited! Today I applied for a job at the cinema there although the applications are not assessed until nearer the end of the month. If successful life will slip into place so perfectly. The Fighting Fantasy Fest 2 is also approaching which is being held in Ealing. Will be nice to see everybody one more time before heading out. Nothing compares to being reunited with my partner and baby girl, I’m gonna do my very best to give them a good life. I cant believe my neighbour is going to be an actual distillery. 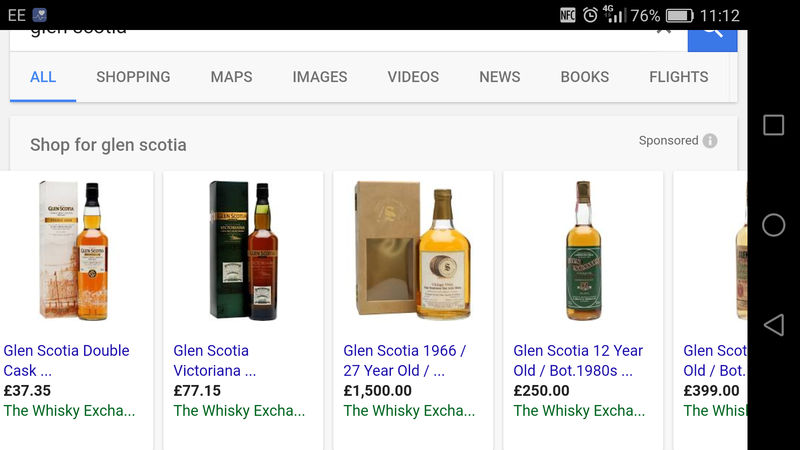 Check out the prices of these posh whiskys they sell!